Read the Down’s Syndrome Pathway here. 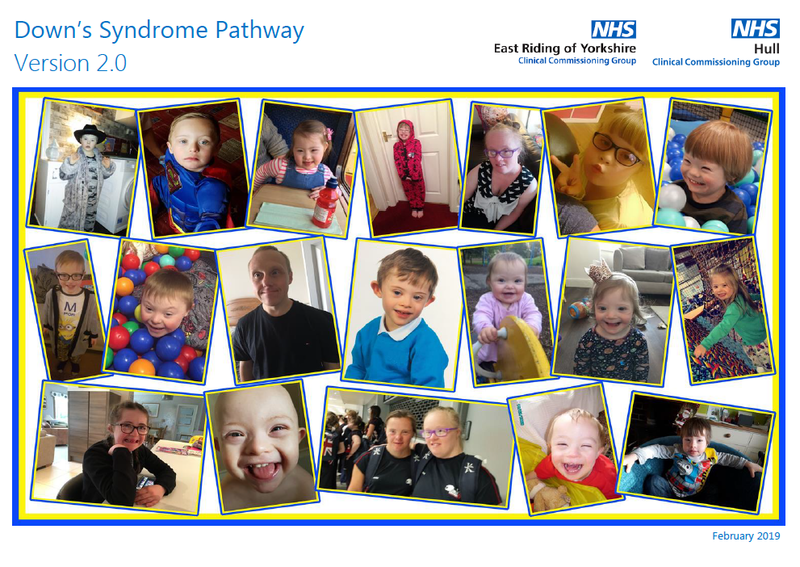 What is the Down’s Syndrome Care Pathway? Do you have feedback to share about the pathway? We are always looking to work with local families and take your experiences into account. Please share your thoughts in the comment box below. If the error presents a significant clinical risk please contact NHS Hull CCG’s Senior Commissioner for Mental Health and Vulnerable People Commissioning on 01482 344700 immediately. NHS Hull Clinical Commissioning Group, in partnership with health and social care services in Hull, has been developing a pathway for people living with Down’s Syndrome and their families or carers. We know that people with Down’s Syndrome can have poorer health outcomes, and sometimes struggle to access mainstream services. Even though everyone who has Down’s Syndrome is different, there are some clinical features and some health conditions they may be more prone to. Parents and carers of people who live with Down’s Syndrome have fed back to us that that they have not been aware of what services to access and when. As a result some children have slipped through the net for services and support. The care they have received has differed greatly, and they wish to have a consistent approach to referrals and support while maintaining personalisation. The new Care Pathway aims to bring together all of the health information needed for people with Down’s Syndrome. All the way through the creation of this Care Pathway, input has been sought from parents, carers and other services closely involved with the care of these children. This pathway will help people to navigate their way through health services to ensure no one who has Down’s Syndrome gets ‘left behind’.